Ann Coulter knows all about the culture wars. She has been involved with them for decades now. She is a seasoned warrior in these battles, and she knows very well the nature and tactics of the adversary. She has written a number of best sellers on these themes, and her newest volume, Demonic, offers more of the same. Coulter is both a Christian and a conservative. Thus she is not afraid to draw upon biblical truths as she dissects the liberal mind and its radical agendas. She ties in the violent mob reactions against Jesus, based as they were on the demonic, with the way all radical leftist regimes and movements also utilise the mob for their purposes. She draws heavily upon a 1896 volume by French social psychologist Gustave Le Bon. His book, The Crowd: A Study of the Popular Mind, was the first study on the mass mind, and the way in which mob violence operates. It provides a nice backdrop for analysing contemporary leftist coercive utopians. Liberals – or leftists – of today can trace their lineage straight back to the radicalism of the late eighteenth century. All the tricks of the trade we find so characteristic of today’s radical left were present in this bloody revolution. 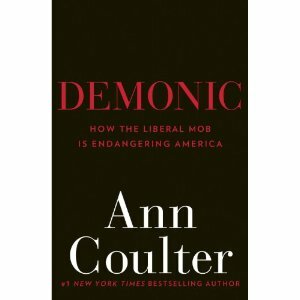 The bloodshed, violence and demonic mob activity has been chronicled plenty of times before, but Coulter offers a nice summary. If all this sounds somewhat familiar, it should. We see the same sort of thing happening today all over the Western world, and much of Coulter’s book is about documenting these moves by the leftwing secularists to wipe out the Christian faith and Christian morality. 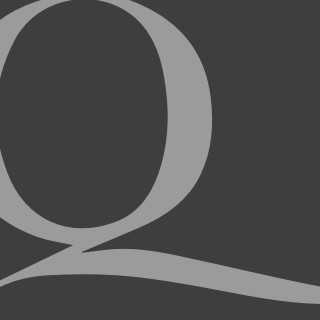 Indeed, “it was the progenitor of the horrors of the Bolshevik Revolution, Hitler’s Nazi party, Mao’s Cultural Revolution, Pol Pot’s slaughter, and America’s periodic mob uprisings.” She notes many obvious points of difference. “Americans celebrate the Fourth of July, the date our written demand for independence from Britain based on ‘Nature’s God’ was released to the world. The French celebrate Bastille Day,” a day of violence, mayhem and mob action. The American revolutionary symbol is the Liberty Bell, while the French symbol is the “national razor” – the guillotine. The closest thing to mob action the Americans experienced was the Boston Tea Party. As Coulter reminds us, there were “no beheadings, disembowelings, or defilement of corpses – or any corpses at all”. Her book offers case after case of leftist mob mayhem in modern day America. She looks at many keys issues in today’s culture wars, such as race relations, the economy, national security, and so on. She contrasts the conservative penchant for conserving and preserving, and the leftist addiction to radical change and destruction. Much more can be said about – and quoted from in – this invaluable new book. Once again Coulter takes no prisoners as she dissects the foolishness – indeed, dangerousness – of the radical left. With razor-sharp insight and humour she does an admirable job of showing us why the radical left agenda should be avoided like the plague. Along with Mark Steyn, Ann Coulter is probably the best conservative writer on the scene today. Anything she writes is gold, and is well worth getting, digesting and passing on. Three cheers for Ann Coulter.